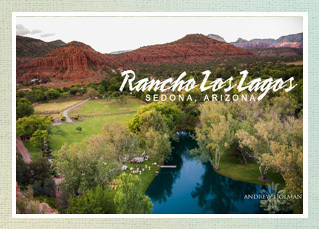 Sedona wedding venues and locations are outdoor, indoor, rustic, classy, green and lush, or nestled among the red rocks of the high desert that is the Verde Valley. Each season also offers an entire other set of possibilities, we well! If you’re planning an Arizona red rock wedding be sure to visit this list of a few of Sedona’s wedding venues. Please inquire directly with the venues by utilizing the contact information provided by each listing. Nestled discreetly on the terra cotta hued banks of Oak Creek in the heart of Sedona’s legendary Red Rock country lies a legendary oasis of tranquility and romance – L’Auberge de Sedona. For over 25 years, L’Auberge de Sedona has delighted guests with a seamless blend of indoor-outdoor luxury living and all the creature comforts and charm of a French country lodge. Now, following a $25 million refurbishment and expansion, L’Auberge de Sedona offers guests a whole new way to experience Sedona: with a choice of either stunning Red Rock View cottages or serene Garden and Creekside Cottages. 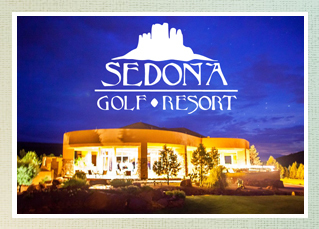 One of nature’s most beautiful achievements adds splendor to your special day at the majestic Sedona Golf Resort. 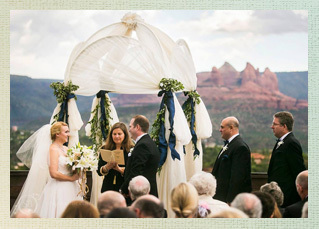 Here you will find everything you need to plan your perfect Sedona wedding celebration. Our elegant dining room with spectacular vistas seats 150 people and accommodates dancing and entertainment. Enjoy our wrap-around terrace and choose from a wide selection of reception packages and amazing menus. View with a Venue… Make your event a destination at the Agave of Sedona, a retreat from the ordinary. Share a sunset from our magnificent terrace or dance the night away in our classic and sophisticated ballroom, the Agave of Sedona is a unique event location. 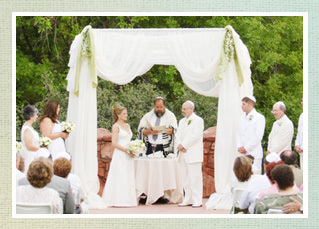 For your wedding…enjoy the charm of old Mexico in the heart of Sedona! Years from now when you are telling wonderful wedding day stories what will come to mind most vividly is the setting, ceremony and unique reception. If you have dreamed of a wedding in a spectacular place, and if you are looking for an absolutely stunning, romantic, I-will-always-remember-this-magical place-memory, then Tlaquepaque is the place for you. Whether your dream wedding is small and intimate or a grand fete, the Hilton can make arrangements for your catering, accommodations, including head-to-toe pampering at the spa. Spa direct: 928-284-6900. 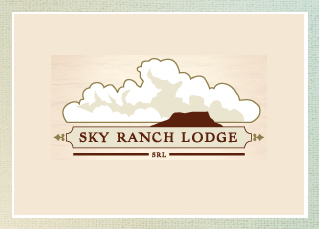 Sky Ranch Lodge offers the best views of red rock country from high atop Aiport Mesa in the center of Sedona. Our wedding site has panoramic views of the most popular geological formations in the area: Coffee Pot Rock, Brin’s Mesa, Cockscomb, Snoopy Rock, Grayback, Wilson Mountain, and much, much more. No other wedding site in Sedona has views that can remotely compare. Up here, your special day will be framed in the most stunning natural scenery the world has to offer. 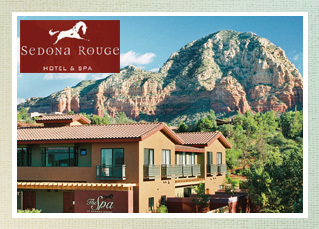 The picturesque city of Sedona, Arizona, often called “Red Rock Country,” is home to the renowned Sedona Rouge Hotel & Spa. The area surrounding the hotel is abundant with all conveniences of an urban setting, while also located only one mile from the Thunder Mountain trailhead, the entrance to Red Rock Country and hundreds of acres of Coconino National Forest, renowned as a four season’s playground. 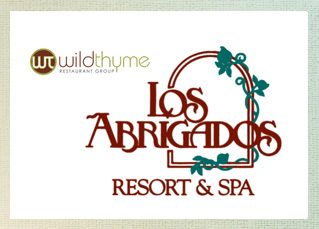 Wild Thyme Group teamed up with Los Abrigados Resort & Spa to help you create memories for a lifetime. Our creek-side venue is situated in the majestic region of Sedona, nestled beneath the shade of the sycamores where you can celebrate and dine on award-winning Chef Mercer’s delectable creations. There are weddings, and there are fairytale weddings. At Amara Resort we specialize in the latter. Whether you’re sharing your vows with 20 guests or 85, Amara offers an incomparable setting: our stunning outdoor courtyard framed by soaring views of the Red Rocks. There’s simply no better place to begin your happily ever after. Rancho Los Lagos is a magnificent, 23 acre, peaceful and private sanctuary and is the perfect location for your Wedding, Party or Event. Towering sycamores and cottonwoods frame dramatic red rock views and our stunning acre lake. The sound of running water is everywhere. Green and lush, private and beautiful.